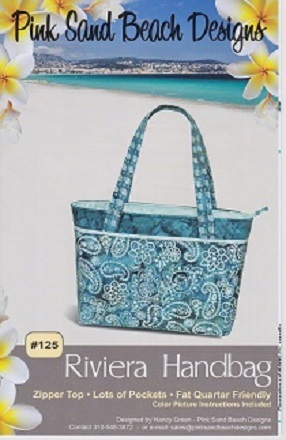 This bag is fat quarter friendly, Finished size 16-1/2″ wide at top x 9-1/2″ tall x4″ deep, 2 large outside pockets, 8 inside pockets. Recessed zipper top, Easy to sew NO SAG bottom, Front and back are mirror images. The best written instructions to follow.